The Authors' Zone | October 17, 2019~~~TAZ Celebrates the Independent Author. TAZ awards are based on 80% content and 20% production of your book. Judges are authors/writers/teachers/editors from Pittsburgh and New York. Submit your book before September 13, 2019, for a TAZ Author Award ceremony and Authors’ Night Out. Joyce Faulkner offers advice for an aspiring novelist-whether you start with a story idea or with a character, plotting is fundamental. 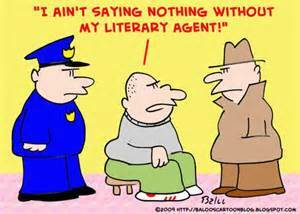 You just wrote the next great American novel, now how do you find a literary agent? You wrote a book, now what to do? 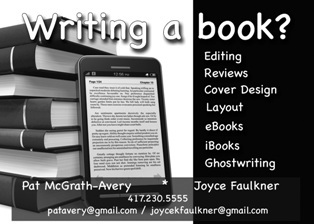 Finding a publisher is proving to be difficult. Self or Subsidy, which is best? What is the difference? You’ve written a really good book. You are sure that people would buy it. However, you didn’t realize how difficult it is to find a publisher. So now you are looking at self or subsidy publishing. But, what’s the difference, what should you expect if you go with one or the other? Publisher ads can make the process even more confusing. Traditional publishers handle everything from purchasing the manuscript for the author to cover and inside design-printing-marketing and distribution under its own imprint. The author is not expected to pay any of these expenses. The books are owned by the publisher and remain in the publisher’s possession until sold; the author receives a portion of sales in the form of royalties. The subsidy publisher also distributes books under its own imprint. They do not purchase manuscripts; instead the subsidy publisher requires authors to pay for the cost of publication. Publishers that requests a fee from the author are subsidy publishers with university publishers or scholarly presses being the exception. Similar to commercial publishers, the books are owned by the publisher and remain in the publisher’s possession and the authors receive royalties. A self-publishing author pays for the cost of designing, printing, and distributing his or her book. Frequently, the author invents and registers a publishing “imprint.” Self-published books are the property of the author and usually remain in the author’s possession; all sales proceeds belong to the author. Whether you self-publish or use a subsidy publisher, you need to know what types of services you are paying for. Don’t sign any contract without first reviewing it closely and if possible, have an attorney review the contents of the document. 1. Who owns the book? 2. Will I receive royalties or all sales proceeds? If the answer is “royalties,” you’re dealing with a subsidy house. 3. Where will the books be housed? 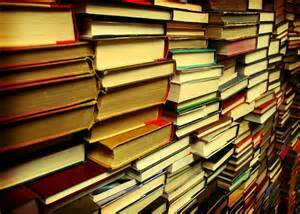 A subsidy publisher will keep all books except for a few “author copies.” A printer or book producer will give you the option of storing the books yourself, or paying for warehousing. In either case, the books belong to you. 4. Who sends books to reviewers, and who pays for it? 5. How much control will you have over the production process? 6. Who handles marketing and advertising? In most cases , this will be you. 7. How much will it cost? Unless money is no object, publishing a book can be costly. Traditional — the Publisher takes on the financial responsibility of publishing the book and receives the majority of the proceeds. The author receives a royalty and discounts on the purchase of his/her book. Subsidy — the Publisher and the Author share the financial responsibility for the project and the rewards…in varying proportions depending on the business model of the publisher. Self/Publisher ISBN — the Author is responsible for all of the costs and pays the Publisher for services. 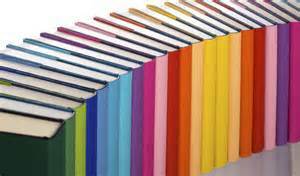 The Author then receives the largest share of the proceeds and the Publisher receives a fee for each book ordered. The individual contract with the publisher will determine how much. Some publishers own the ISBN and the self published author is considered an “imprint.” Some self published authors prefer to own their own ISBN and do the registration themselves.